Ok, we are setting the way-back machine to around 1966. 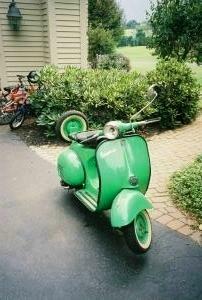 I was in High School, and my first bike was a Vespa 150 Red, hand painted by me I think. It ran pretty darn good for a scooter. 150cc’s is a lot for a small vehicle. I bombed around a lot with it, I don’t remember how or where I got rid of it, but it was fun. 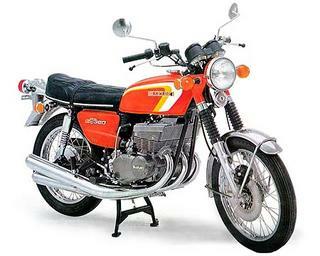 My second most memorable bike was a 1964 Suzuki X6 Hustler. 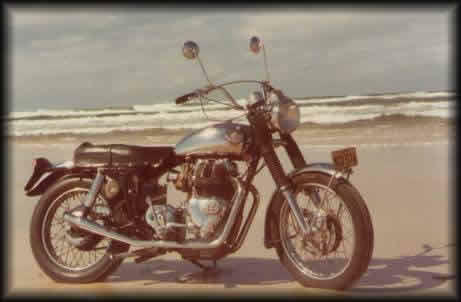 The Hustler was one of the first 250cc bikes that was able to exceed 100mph. It was a 2 stroke of course, and literally ran like a Banshee. I don’t think I ever tried to get it up to 100mph, but I drove plenty fast in those days. 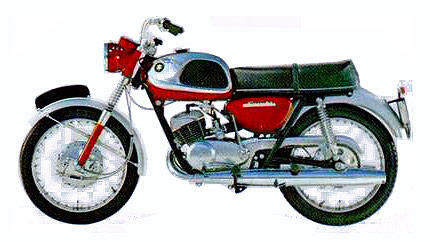 Next on the list of favorite bikes is the Honda CL72 250 Scramber 1964. This was a great motorcycle. I bought it used from a dealer who told me it had been bored out to 305cc, but he had to sell it to me as a 250 because that was the model it was. Fine with me, it ran good, and who ever bored it out, did a good job, because I never had any trouble with it, and I put a lot of miles on it. Three motorcycles remain in this chapter of history. The next bike I bought was a Suzuki 380cc 3 cylinder air cooled two stroke. These early bikes used oil injection, so they didn’t smoke as much as earlier two strokes, and they were very good at limiting oil usage, I think I only had to add oil to the oil injection tank about once every 1000 miles. Now I am not trying to say they don’t smoke, cause they do. It didn’t bother me, but I have been asked to ride in the back of the group, so there won’t be other riders behind me that have to smell all the smoke. I didn’t mind, it produced a lot of power for its size, and it was very smooth. It used a 120 degree crank, that is three power pulses per engine revolution. Hard to beat that with any engine. My next bike was also a two stroke, the biggest two stroke motorcycle ever made. 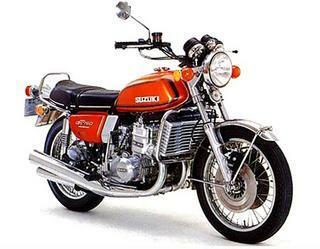 It is the Suzuki 750 three cylinder water cooled two stroke “water buffalo” as it was called. Big torque, big power, very smooth. I did have it over 100mph at least once. It was very much my first touring motorcycle, and it was very happy two up. Debbie and I rode it lots of place. The final bike in this set actually occurred earlier. 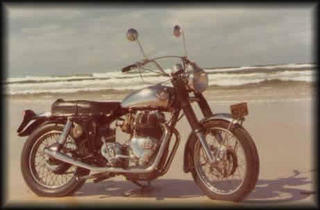 It was a Royal Enfield 750 Interceptor. A kick start battery-less twin with magneto ignition. If you didn’t set everything right, you would never be able to start it. Once it was running, it was amazing to ride. There really is something about those British twins. It definitely had more torque than any of the two strokes I ever owned. The royal Enfield wasn’t completely trouble free, but I think it was my first taste of the motorcyling mystique that motorcycles are more than the sum of their parts, and some lack of reliability is not necessarily a detriment to the fun of ownership and operation.